Taira sensei arrived the next day for another session, this one a bit bigger, but the same place. Amazingly he taught essentially the same things as the night before, without knowing, which reinforced the same material over two nights, and really got people keen. 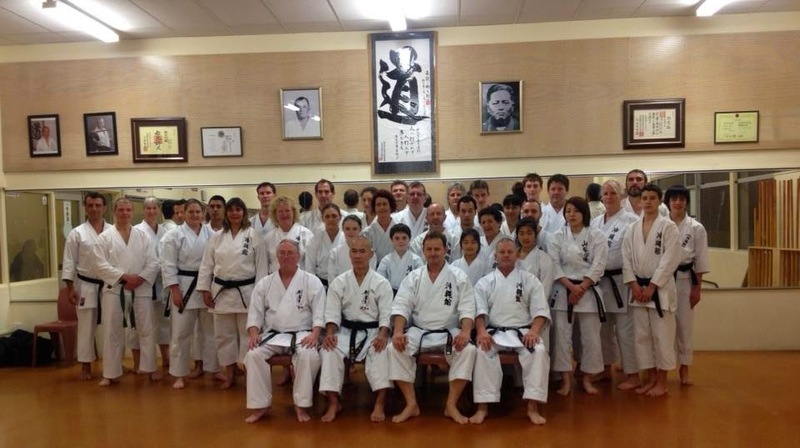 Unfortunately we hadn't done a good job of letting people outside May Sensei's group know what was going on, as I'm sure we could have had a lot more people there. 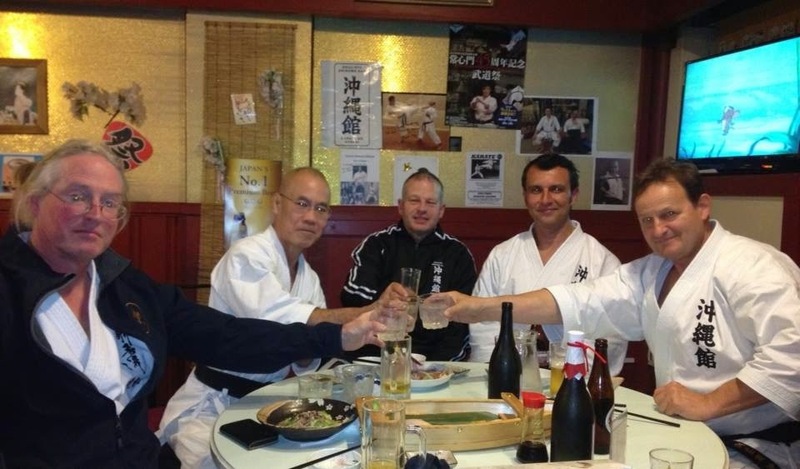 After the session May Sensei took us all off to a Japanese restaurant for a stack of sushi, sashimi and other treats. Peter Turner Sensei and Sennen Harry Sensei both made the effort to go down to the Dunedin seminar to get a lot more material under their belts.